Love in a Village is a comic ballad opera with music arranged by Thomas Arne. 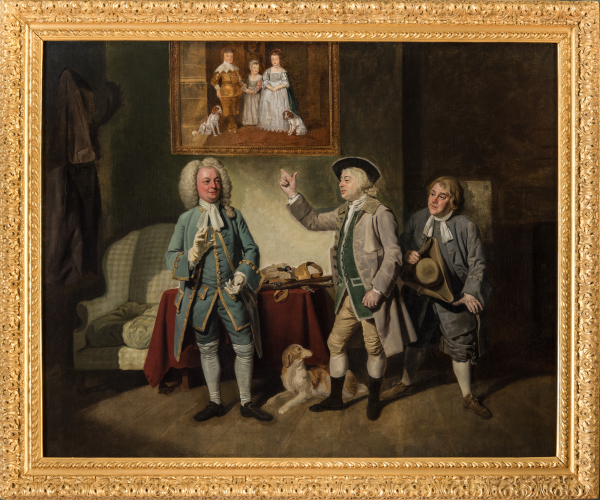 In Zoffany’s painting the central figure is John Beard, one of Handel’s favourite tenors. 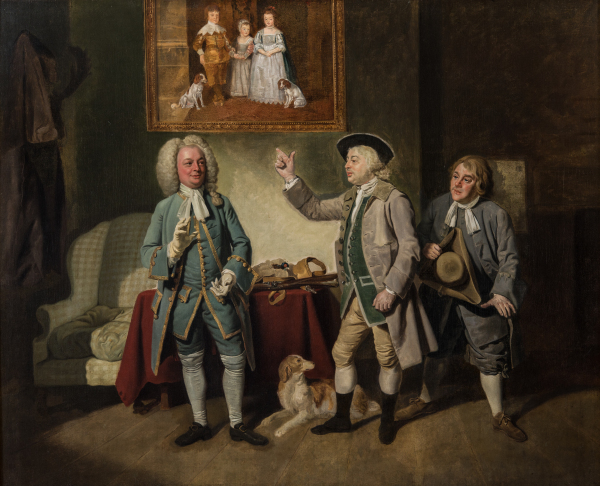 He plays a farmer visiting his neighbour Justice Woodcock, who wears an expensive gold-trimmed suit and wig. Zoffany has included a copy of Van Dyck’s Children of Charles I, a portrait that would have been familiar to him as he was working for the Royal family at this time.